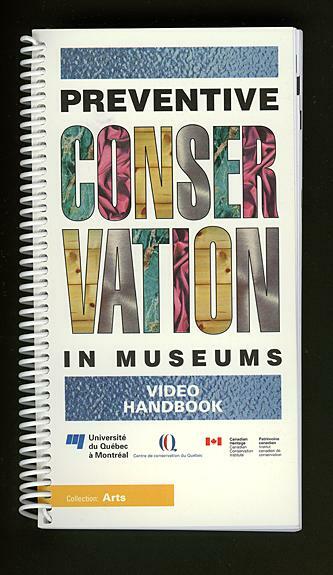 Preventive Conservation in Museums: Video Handbook compliments the 19-video series on preventive conservation. Each chapter is the script of one of the videos. 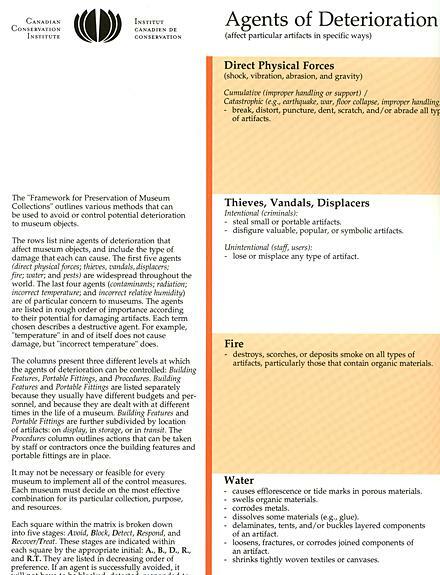 Subjects include an introduction to preventive conservation, storage, the condition report, relative humidity and temperature, the care of textiles, protecting objects on exhibit, emergency and disaster planning, and closing a seasonal museum. 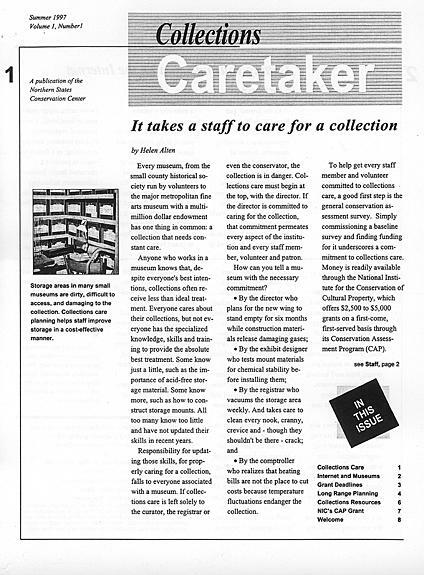 CCI Notes is the most important collection care publication a museum can purchase. A collection of over 90 technical leaflets written for a broad audience, topics in this continually expanding series range from "Removing Mould from Leather" to "Storage for Costume Accessories" and "Indoor Display of Industrial Collections." CCI Notes are illustrated, include supplier lists and a thorough bibliography. Note: this publication is not a compilation of the CCI technical bulletins. CCI Notes is no longer for sale but is available online at the CCI website. 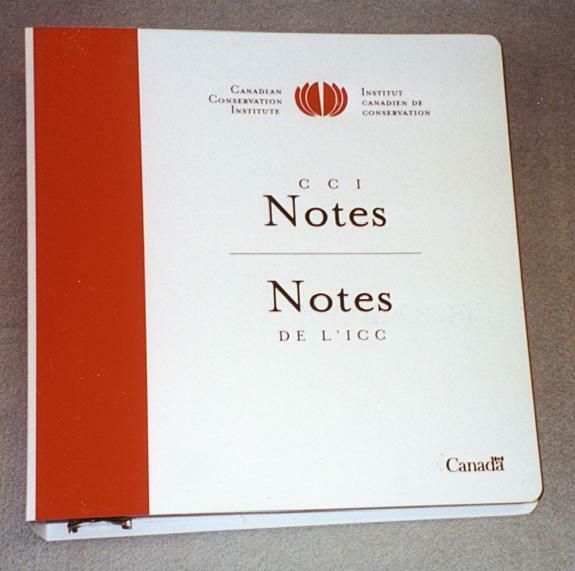 CCI Notes is no longer for sale but is available online at the CCI website.